Every April, the entire city of San Antonio partakes in two full weeks of parties, parades, and merriment known simply as “Fiesta“. As part of the tradition, Fiesta wreaths bursting with color are hung on front doors across the city. 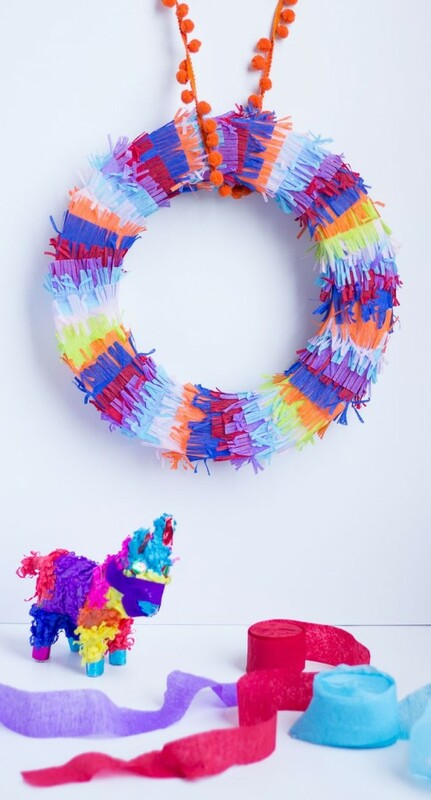 While Fiesta has officially come to a close for this year, I’m keeping the party going with this Fiesta-inspired piñata wreath. I like it so much that I think it will go perfectly with all my DIY Cinco de Mayo decorations! I’ve always wanted to try making my own piñata but have been intimidated by the amount of work and time involved. This piñata wreath was the perfect alternative – I still got to play around with fringing scissors (so fun!) and it was simple to make. 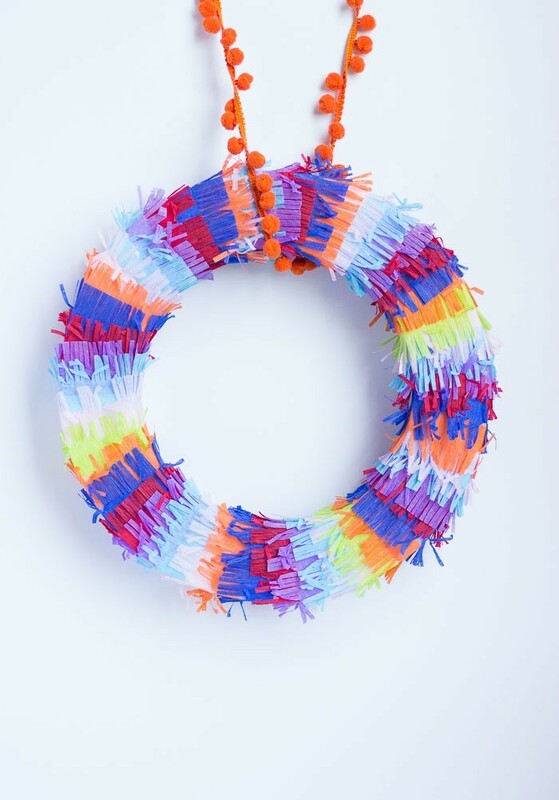 Plus, unlike a piñata that gets smashed – this wreath will stay looking good for many fiestas to come! 1. Wrap a length of crepe paper streamer around the wreath form to gauge how long of a strip you’ll need. 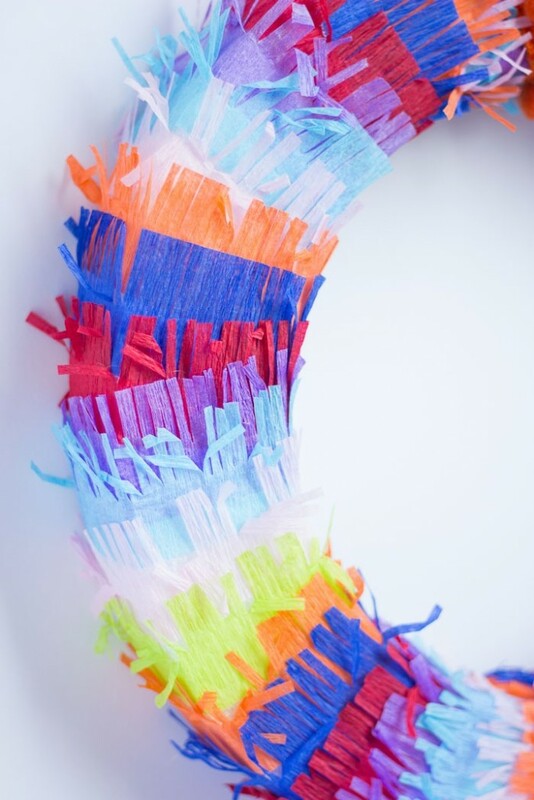 Cut several strips in each color (I used 7 different colors of streamers and cut approx. 50 strips for this wreath). 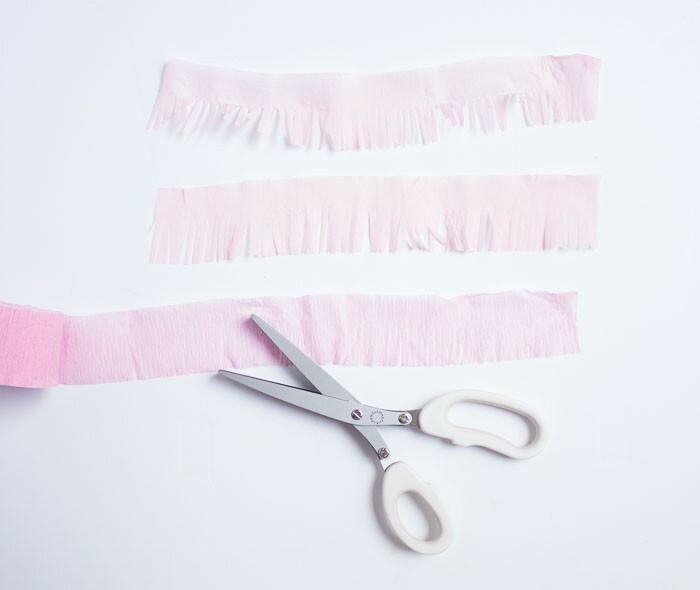 Fringe each strip using your fringing scissors, making cuts about halfway up the height of the streamer. 2. Once you have all your fringed strips prepared, adhere them to the wreath form with a dab of hot glue while pulling taut. 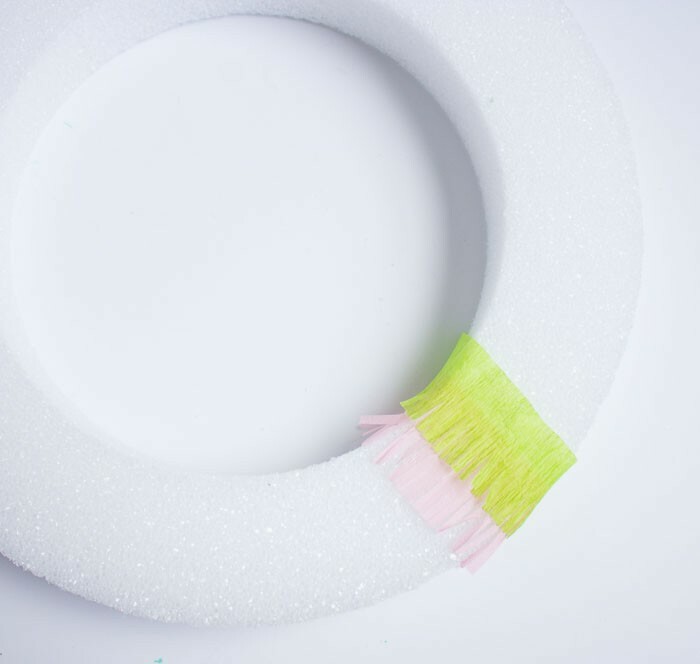 Work your way around the wreath form by layering the fringe on top of each other. 3. Once you’ve made it all the way around the wreath, hang with a pretty ribbon or pom-pom trim and get the fiesta started! Wreaths are one of my favorite crafts to make, and I’ve made them to celebrate practically every holiday of the year – I’ve got lots more holiday wreath tutorials on Design Improvised. 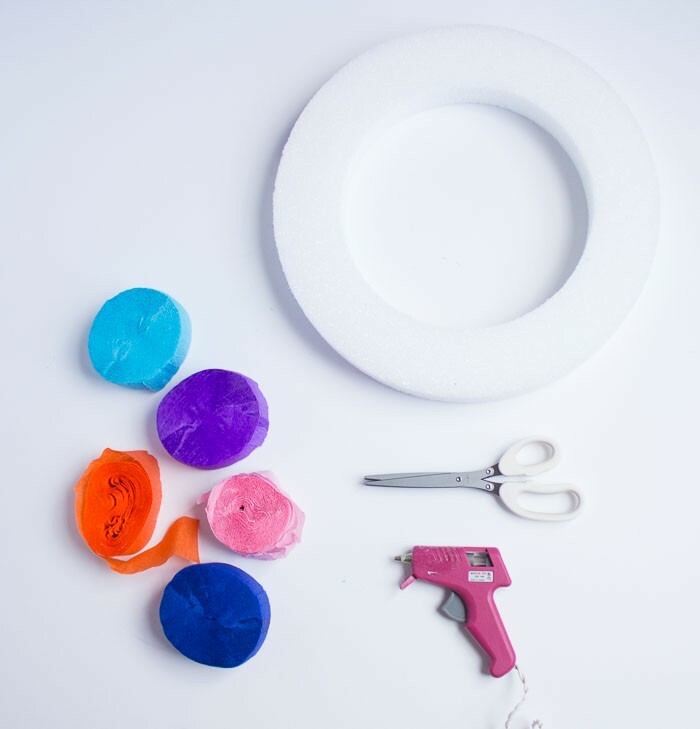 And if you’re planning a Cinco de Mayo or fiesta-themed party you won’t want to miss these awesome DIY piñata balloons! Haeley is the author of Design Improvised, a blog dedicated to easy DIY home decor and entertaining projects that can make a big impact! 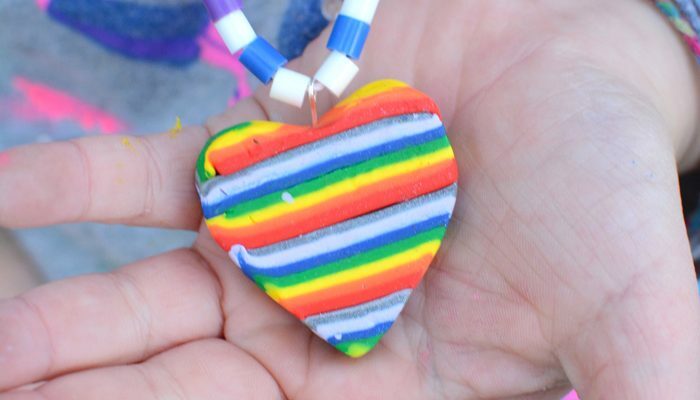 Almost all the DIY projects on this blog can be done in 1-2 hours for under $20! 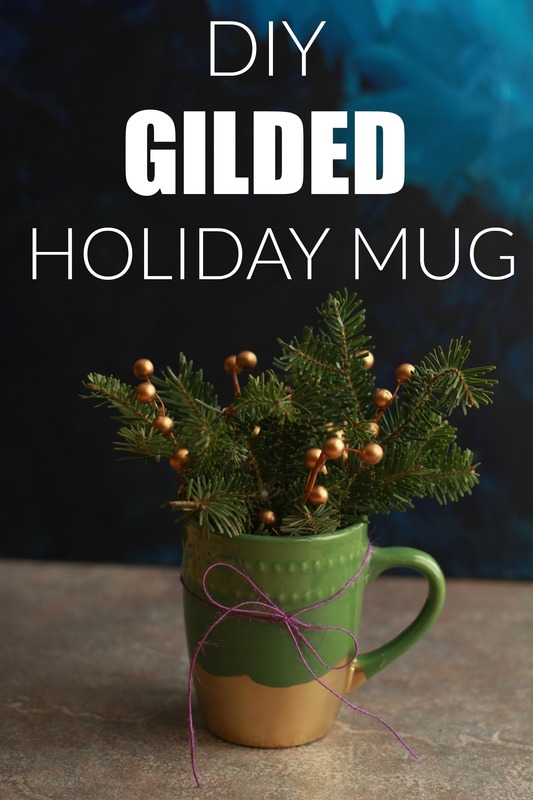 Her work has been featured by Martha Stewart, Better Homes and Gardens, Good Housekeeping, and Buzz Feed websites among others.